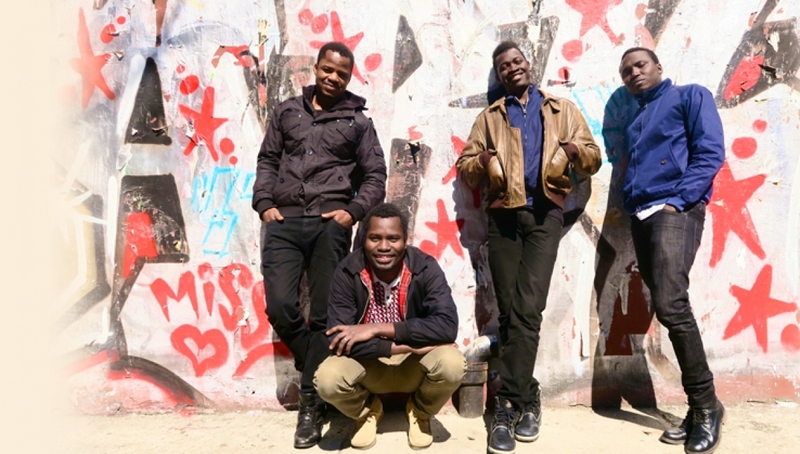 Having already had a hugely successful 2015, including a recent nomination in the ‘Best New Band’ category at this year’s Q Awards, Songhoy Blues go into the end of the year by announcing their biggest UK headline show to date and a deluxe version of their much-acclaimed debut album, Music In Exile. Having made their first appearance in London in July 2014 at the Servants Jazz Quarters, the band play the Roundhouse in London on Saturday 21st May 2016 – a staggering ascent for any band. The show billed as ‘Songhoy Blues presents ‘Music in Exile’ – a celebration of music from Mali and beyond’, also features a performance from special guest FATOUMATA DIAWARA, Blick Bassy, United Vibrations and Dave Okumu (The Invisible) DJ set.